Maintaining and expanding skill levels can be costly, particularly for workers themselves. In this chapter, Dr. Heath Prince of the Ray Marshall Center introduces a section of the book that addresses innovative ways to fund workforce development to rebalance the risk of training investments. 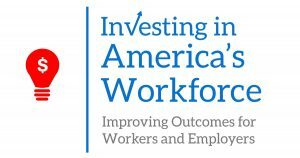 The chapter is part of Investing in America’s Workforce: Improving Outcomes for Workers and Employers. Read this chapter and others at www.investinwork.org/book, and stay tuned for more chapter releases and the book launch on November 9!